Less of the low sugar shenanigans now: it’s time to start thinking about Christmas presents – the home made variety. Just thinking for now, not making . The fudge will last, but only 2 to 3 weeks (and longer in the fridge ) so have it freshly made if possible. I’d better come clean on this one straight away – it’s much more straightforward to make if you use a sugar thermometer. That way you avoid having to guess the “soft ball” stage which involves judging when the mixture is about right and dropping a blob into cold water and seeing if it forms a ball or tear shape. If it does then it’s ready. The thermometer makes things nice and easy. They aren’t expensive – I just found one at Tesco for £2.50 and it’ll come in handy again – when you branch out into jams and chutney….? It’s really delicious …… you’ll be hard put not to eat it all yourself. Although you might just be more disciplined than me! 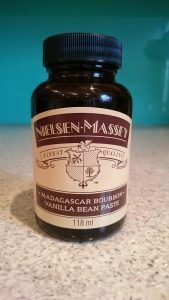 Place all of the ingredients except the vanilla into a (preferably heavy bottomed) saucepan. Let the mixture start to boil and then stir intermittently over a medium heat until it reaches the right temperature. Make sure that although the mixture bubbles away nicely, it doesn’t burn. It is extremely hot!!!! Beware a cheeky taste. Let it cool first or it will burn your mouth. Wait until the temperature is 115 or 116° C. Be patient. Watch, stir and use the thermometer. At less than 115°C the fudge will be quite soft and at less than about 111 °C and it probably won’t set at all (although it will still be eminently edible as it morphs into toffee sauce) At more than 116 °C and the fudge will become more brittle. Over 122 °C and again, it will be eminently edible but more like toffee. Once it’s off the heat, beat the fudge for about 5 to 8 minutes. After it has cooled a little you can add your “extras” – in this case it is your Vanilla Extract – and then carry on beating. Finally pour it into the container where it will set. Unless you’re using silicone containers, lightly grease the container first. Well, you could have a great time inventing your own . Ginger Fudge: add chopped stem ginger to the mixture. the added sugar on the pieces of sugar doesn’t seem to make it too sweet. Bounty Fudge: add chopped up pieces of toasted coconut. I used unsweetened, flaked coconut which was then roasted in the oven, not dessicated coconut which simply doesn’t have such good flavour. Peanut Butter Fudge: add crunchy peanut butter . You need quite a bit to get the taste to come through over the sweetness of the fudge mixture. Brazil Nut Fudge: or any nut with a bit of flavour – pecan or hazelnut. Buy whole nuts and chop them yourself because the flavour is so much better that way. Christmas Pudding Fudge: add mixed fruit with added mixed peel coated in a fairly generous amount of ground mixed spice. Well it’s an extra job in its own right really. I’ve taken to saving useful looking boxes and jars that I then decorate with wrapping paper tissue. Place the fudge within a sheet of greaseproof paper or aluminium foil though because you don’t want the ink from the packaging touching the food. If you’ve no suitable boxes, after all they need to be fairly small… then make a virtue out of necessity and use a bit of greaseproof and then use aluminium foil as the outer wrapper because it has a bit of structure to it. Add some ribbon and maybe a dab of glitter and bob’s your uncle! I really enjoyed your news letter and also your videos of Denise doing the exercises properly!! Thanks Linda. Your comments are much appreciated! This sounds delicious. I must give it a go as soon as I get one of those sugar thermometers. Thanks for posting it. thanks for that Boo! I’m working on something much more healthy for January – no added sugar in sight!